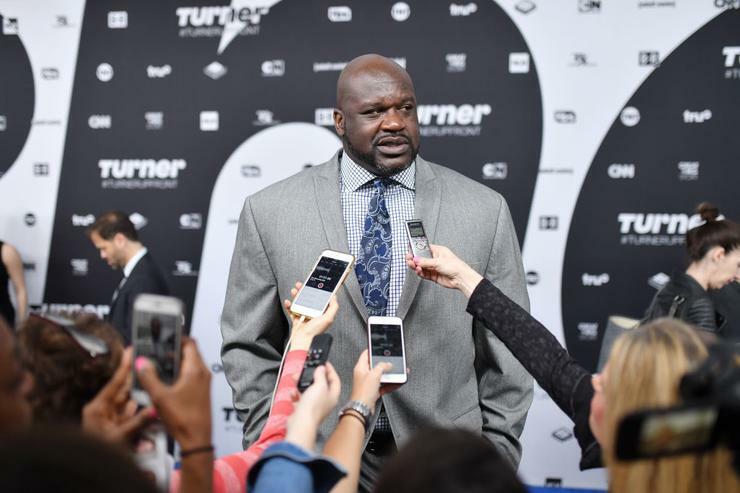 Shaquille O’Neal is one of the many NBA legends who star alongside Kyrie Irving in the upcoming “Uncle Drew” film, but that’s not the only Hollywood venture in Shaq’s plans. The Hall of Fame center, known as Big Fella in “Uncle Drew,” is also developing a TBS show with Ken Jeong in addition to touring under the name DJ Diesel this summer. Naturally, Shaq has big plans for whatever it is he’s dabbling in, whether it be as an analyst on Inside The NBA or one of his many investment opportunities. In an interview with the Associated Press, The Diesel explained that he wants to be as big as The Rock. O’Neal: I want to be as big as Rock [Dwayne Johnson]. O’Neal: We come from the same place: athletes that transition. That’s my goal. I want similar-type movies. I want to get thrillers. I want to get dramas. I want to do comedies. I want to be the next Rock. I want to do a thriller where I’m like a hero and beat up all the bad guys. “Uncle Drew,” which features other basketball star such as Chris Webber, Reggie Miller, Nate Robinson, Lisa Leslie will hit theaters on Friday, June 29th. Judging from Shaq’s comments, this is far from the last flick we’ll see him in moving forward.